You’ve just purchased new skis and bindings. Now what? 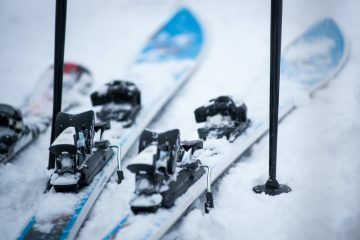 Before you can race off to the slopes with your new gear, someone needs to mount your bindings onto your skis. 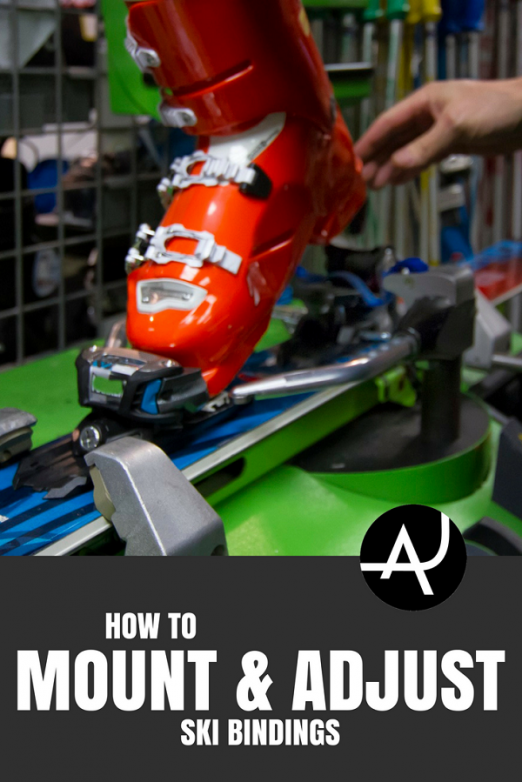 At The Adventure Junkies, we’ll walk you through the steps on how to mount and adjust ski bindings. With bindings, your safety is at stake. So, you’ll need to make an informed decision about how to proceed. If you are skilled and have the right tools, you can do it yourself. If not, you’ll need a certified ski technician to do the work. Since you’ve also invested money in your equipment, you’ll want the bindings mounted and adjusted correctly. Mounting bindings onto skis requires know-how, skills and the right tools. If you don’t have all three, then you only have one option: go to a ski shop. This will cost you around $30 $60. 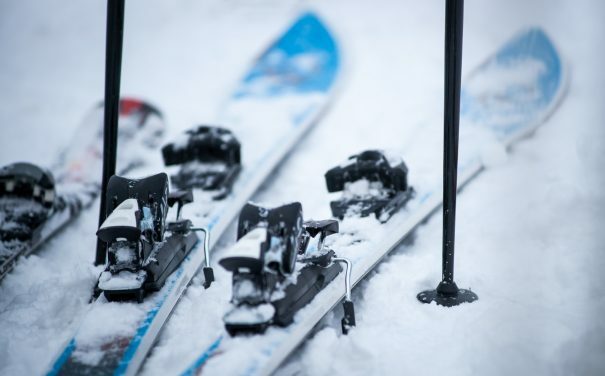 If you have purchased an entire ski package (skis, bindings and boots) from one shop, they’ll often throw in the mounting for a nominal fee or even for free. Bindings are complicated. As REI explains, bindings are designed to allow your boots to release from the skis to avoid injuring legs. They are also the devices that allow you to steer your skis. For those reasons, it’s imperative to have bindings mounted and adjusted correctly. For those considering binding installation as a DIY project, read the warranty on your bindings first. Doing the work yourself may void the warranty. Most ski shops will mount bindings on skis. If you have a choice of shops, go to the most reputable one. A bad mount job can make skiing more difficult, or worse, cause injury. When you take your gear into a shop for mounting, the technician will ask for your weight, height, age and skier type. 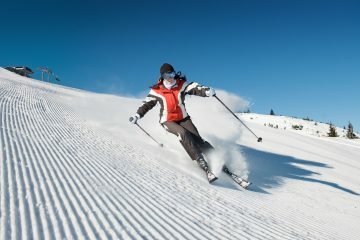 For skier type, you’ll choose among three descriptions of your skiing: cautious, moderate or aggressive. Don’t fudge on your answers. They provide the data the shop needs to properly adjust the settings for the toe and heelpiece of your bindings. In addition to your bindings and skis, the technician will need a boot. Bindings must fit snugly to your specific boots. Your ski buddy’s boot won’t work. Only one boot is needed. 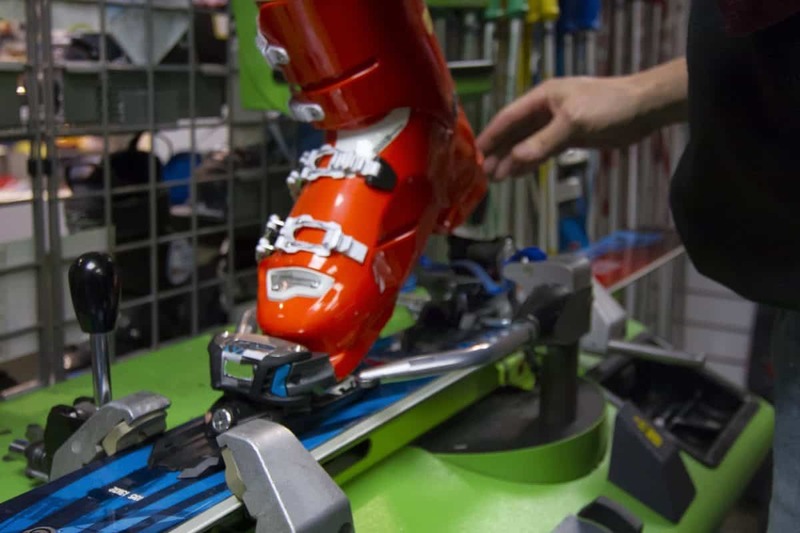 The technician can use the same boot for mounting, adjusting and testing both bindings. When you pick up your mounted skis, check the shop’s work. Bindings should be lined up perfectly straight. They should be centered in the same location on both skis, not millimeters in front or behind the other. Bindings mounted crooked or offset from each other contribute to injury or difficulties turning on one side. If they aren’t mounted evenly, point out the discrepancy to the technician to resolve it immediately. Skis come with a center mark for mounting bindings. 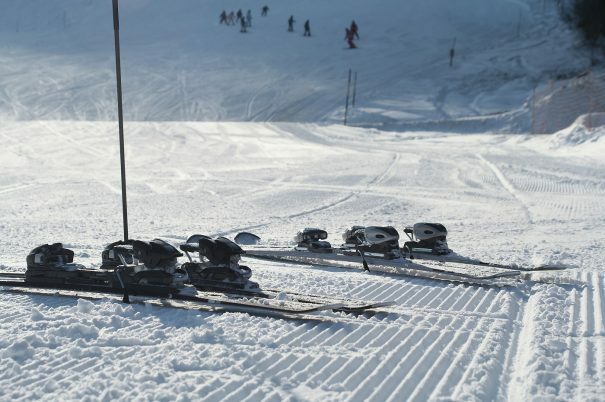 Most beginning skiers need to start with the factory-recommended mounting location. Also, all-mountain or all-terrain skiers will use the factory-recommended center mark. But, bindings can also be mounted forward or backwards from the factory-recommended center line. 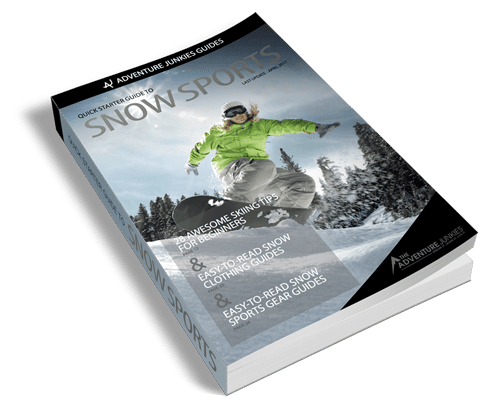 Skiers who specialize in certain aspects may want the bindings mounted one to three centimeters ahead or behind the center mark. For instance, terrain park skiers need ultra quick turning and the capability of skiing backwards or switching. To adapt the skis for responsiveness in both tactics, terrain park skiers often mount bindings forward from the center mark. Meanwhile, powder skiers sometimes want bindings mounted where they can provide easier floating or a more stable ski in deep fluff. Bindings mounted further back from the center help achieve those goals. A few bindings on the market are variable mounts, which allow skiers to make on-hill adjustments in the binding placement. By moving up to three centimeters forward or backward from center, the skier can swap between riding in the park and floating in powder. Certified ski technicians can mount your bindings onto your skis. It’s a simple process: drill holes into skis, add a dab of glue in the holes and screw the bindings down. Getting the holes placed correctly for your ski boots and drilled to the right depth is the trick. Technicians rely on specialty tools to help them mount bindings in the right spot. Technicians use jigs from the manufacturers to line up the boot center mark to the ski center mark. The jig guides the drilling process to get the bindings mounted right where they need to go for your particular boot length. Some DIY diehards rely on their own free drilling or use a drill press. You can even get paper jigs or universal jigs to help with self-mounting. Be sure you know what you are doing or you could wreck your new big bucks skis. Technicians also use special drill bits to prevent drilling all the way through the skis. Drill bit sizes vary for types of skis: wood, composite, metal cores and children’s skis. Once technicians clean the drill chips out of the holes, they insert a bit of glue to help anchor the screws. Then, they screw the bindings to the skis. Once the glue dries, they adjust the bindings and test them for the appropriate release. Binding toepieces need two adjustments to match your boot in length and pressure. Your boot sole length, a millimeter measurement, is usually imprinted on the heel or side. Using a screwdriver, the technician adjusts the toe piece for that length. The toe height or pressure needs to match your boot, too. Some bindings automatically adjust the toe height to the boot; others require a certified technician to make the miniscule adjustment of less than half a millimeter. This allows your boot to work with the Anti-Friction Device (AFD) that sits below the toe. To fit the binding heelpiece to the boot requires slipping the binding snug against the heel of the boot. Using a screwdriver, the technician will slide the binding into place and then test it. If jammed too tight, the boot will not release; if too loose, the boot will just slip out. The technician will also check the ski brakes to see that they are the correct width for your skis and that they work properly. The brake arms should lay flat or parallel with the ski when the boot is in the binding. When the binding is released, the brakes should angle down and back. Once a technician has adjusted your bindings to fit your boot, the next step is to adjust the DIN. On both the toe and heelpiece, the technician will rotate the screw to your DIN setting. DIN settings are visible on top of the binding toe and heelpiece. DIN is an acronym for Deutsches Institut für Normung, which has been adopted internationally by the ski industry. It refers to the force needed for a binding to release a boot in order to reduce the potential for or the severity of injury. 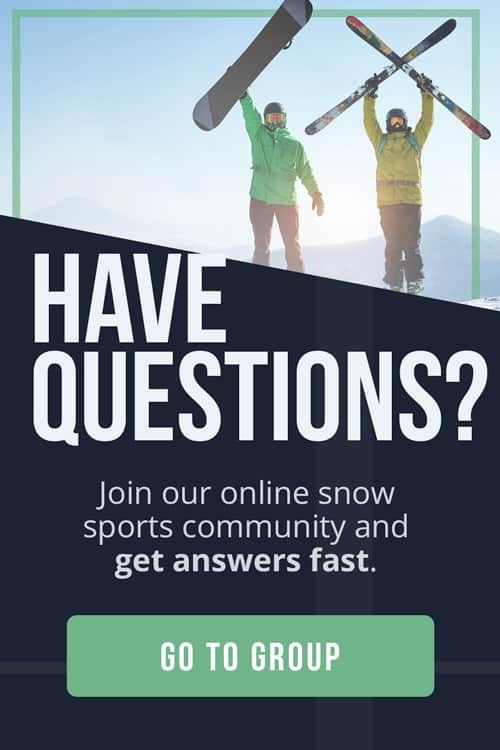 Remember those embarrassing questions the ski technician asked when you brought in your gear (weight, height, skier type)? Here’s where they come into play. The DIN uses your stats to arrive at a number to guide the binding release. On your binding, that number is set on the toe and heelpiece. How do the DIN settings work? The lower the setting or number, the less force it takes for your binding to release. This is especially important when your body is going one direction and the skis another. Bindings that release can prevent torqueing knees in the wrong direction. For DIN, beginners and children use lower settings. Hence, the bindings will release more easily. For adult beginning or intermediate skiers, the number may be bumped higher to accommodate the increased weight, somewhere between 3-10. Otherwise, their weight alone would cause them to slide out of their bindings on every turn. Advanced skiers will use even higher DIN settings, which take more force to release. Skiers who like speed and jumping off terrain park features might need to go with a higher setting of 6-14. Racers, professional skiers and big mountains skiers use the highest settings, around 8-18. The higher the setting, the greater the risk and the more you must rely on your skills to bail you out of a twisting fall. Sometimes skiers up their DIN to prevent pre-releasing or slipping out of the bindings before a big fall. But, cranking up the DIN can result in a torn ACL or broken leg. Other skiers view having higher DINs as a bragging right. This should not be viewed that way though. Unnecessarily high DIN settings only invite injury. To find your DIN, consult a DIN chart or use a DIN calculator. The charts give approximate DIN ranges, while the calculators pinpoint a number. Add your weight, height, age, skier type and boot sole length to arrive at your DIN. Your certified ski technician will test the release of the boots from the bindings. Since the toe binding releases with a twisting motion and the heelpiece releases with a sharp forward force, technicians mimic these actions to ensure the bindings release. You should also test your bindings. With your boots on your feet, step into the binding and push down to set them. Then, take your ski pole to press down on your back binding to release yourself. If you can’t release them, you may need a lower DIN setting. If it’s too easy to release, you may need a higher setting. Seasoned skiers get their bindings re-tested every year by certified technicians. 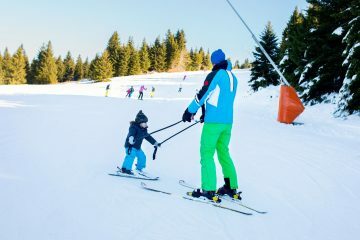 That way, if something has changed, as in weight or height, the technician can make the necessary adjustments to keep you safer on the slopes. Don’t worry if all of these DIN and binding stuff are too overwhelming. That’s why shops employ certified technicians. When you take your gear in to a certified technician, they’ll do all the work for you.